From your initial enquiry, you will be in direct contact with one of our highly experienced designers who have an in-depth knowledge of architecture and design along with considerable experience in the industry. Our design team have a history of consulting with senior planners and governing bodies. A number of our directors are highly experienced design and build specialists. This combination of design flare and awareness of planning considerations ensures concepts, whilst innovative, are always realistic. 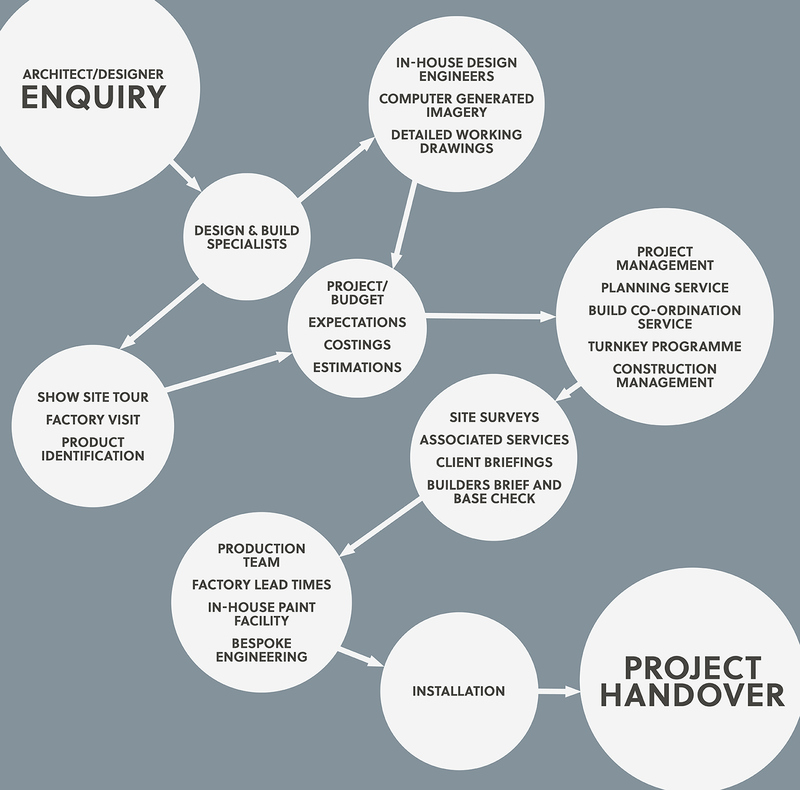 We believe in the ethos of a ‘one job, one project manager’ system, therefore during the duration of your project you will have a dedicated point of contact. Our project managers have a wealth of domestic and commercial experience and, as you would expect, your project manager will be responsible for the overall direction, co-ordination, implementation, execution, control and completion of your project. Depending on the level of management required and how you like to work, you can employ our project managers on a full turnkey basis or as a project co-ordinator in a supporting role.